Whether you are new to town or a long-time resident, THE WAIHI VOLUNTEER DAY may be something for you. 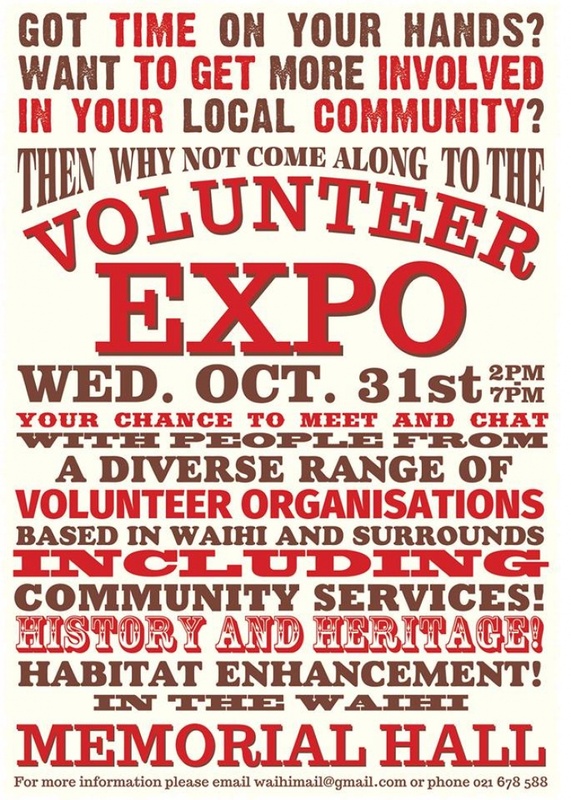 Come to the Waihi Memorial Hall on Wednesday 31 October to learn about the volunteer groups active in Waihi. Find out what our local groups do behind the scenes. There may be a group that interests you, one you can contribute to, or one that can help you.